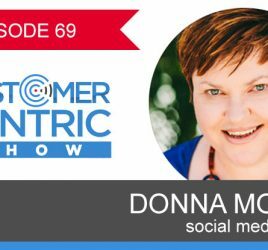 Hi everyone thanks for joining me for another episode of customer centric show. I am Mel Telecican your host and today on the interview on the show I speak with Phillip Di Bella. Now apologies in advance I had a bit of tickle in my throat and it was trying to muffle my cough while having the interview and even through the magic of editing it couldn’t be removed without taking out value. So ignore me and listen to the great content that Phillip Di Bella is addressing during the episode. Now what I really like about Phillip is that he is very generous with sharing information. He just turned 41 and built an empire and now is diversifying even more into a whole bunch of different things you are going to learn about today. 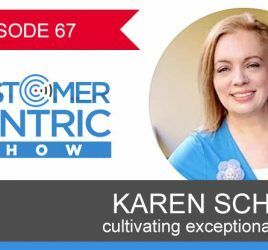 In the episode we talk about what he believes makes customer centric business are the force that he adopts for his business and team. Why he actually enjoys this covering mistakes or errors in processes. What makes for an effective complaint handling gives bit of example of what happened recently with his business. The 3 questions that he determines that client perception of Di Bella so the 3 questions that he asks people, how we determine people locations and the business modules for all of his international café locations, how his business growth have come from anticipating customer needs, why he believes the whole concept of disruption in business is rubbish and the dangers that are commonly made when you are expanding in business. He also talks around why he believes that it is not a great idea to hire people wiser than you or have more experience than you. He talks about the questions he asks when he selects his staff, why he believes reflection is most underutilized but fantastic tools for business owners to be using and he shares with us in the end personal goal that he has set for himself. So look, great episode ahead I hope you enjoy it. Thanks for joining me. Let us know what you think. 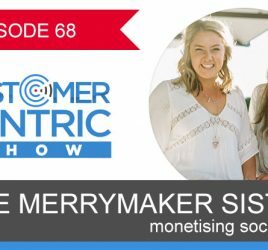 You are listening to the customer centric show with Mel where we talk with successful business owners and experts to share smart ways to attract more customers, profits and freedom by thinking about customers first. Now, here is your host Mel Telecian. Mel: Phillip di Bella founded Di Bella Coffee back in 2002. It began as a small coffee roasting operation in the suburbs of Brisbane in Queensland, Phillip ended up taking a big portion of the market in several ways. One of these was when they were the first to develop a system that was coined the "Crop to Cup" system taking quality coffee direct from farmers all over the world to consumers in Australia, and now internationally. Phillips current role of Managing Director Remains at Di Bella Coffee despite selling to Retail Food Group in 2014. He still sets the vision of the company and provide the support and mentoring to the senior management team. Phil is an active collaborator and contributor to the community. He has been on the Queensland Premier’s Advisory Board for 3 years, he has remained as the Director of Brisbane Marketing for 6 years he is the Director of Tourism & Events Queensland. Phillip is also on the Department of Marketing Industry Advisory Board at Griffith University where he was awarded as an Adjunct Professor of Entrepreneurship for his significant and ongoing work, insight and contributions. I am very excited to have you on the show Phil. Thank you for joining me today. Phillip: Thank you Mel honor to be here. Mel: Now can I ask you to share with us an example of a business that’s customer centric. I expect you have come across quite a few in your travels around the world. What stands out for you the most? Phillip: To me businesses that are customer centric actually have the ability to put themselves in the shoes of the customer and it sounds quite simple however it really is a difficult thing to do because you are really transponding yourself from within yourself to somebody else and I think one of the highlights for me in the best program I have seen all over the world is written by Steve London out of the States when he did the fish program. Had he take a boring industry like selling fish and make it so exciting that people in their lunch time just go and sit there for half an hour watching the show that happens the best customer service experience I ever had are those that actually again put themselves in the shoes in their audience and the people that do that most often have the best successful business in their industry. Mel: That fish philosophy is fantastic. There is visuals that people can actually look online and see the performance that those guys actually put on in that fish market. They are completely engaged it is not just an act thought that they are very connected to what they are doing and people just love it and come back for more. So can you think of an example locally or internationally that stands out and doing that for you? Phillip: Well I fly a lot you know and flying is not as glamorous as it might seem as if you are on a plane every week or sometimes 5 times a week and there was an incident where I am a chairman member there and I like to travel business class with my athletic body. It is more comfortable travelling in economy so I prefer business class. It is because seats have more space. There was an incident where we got into book one of the legs of travel and they actually prompted us by ringing us and saying well we know that his customer profile is he travels business class most of the time. We noticed he is travelling 4 or 5 flights this week but there is a flight missing. Just want to make sure it wasn’t missed and it is okay if you booked it with another carrier and the way they handled that was brilliant because one, people follow procedures and if they followed procedures I would have been stuck half way around the world seeing the leg of my seat or two I would ring and say why did you book that leg, why would you book another leg with somebody else. It was done with total care. It was done compassionately. It was done from a friendly space but more importantly it was done because I put themselves in the shoes of the customer by saying well if this person truly did forget to book, the flight, imagine what he is going to feel like when he is stuck somewhere and he misses in because someone has made an error. So that’s probably one of the most recent examples of to me what we call customer service and dedicated to deliver. I think the problem with customer service sometimes is that people think saying hello and smiling and being nice is customer service. To me that’s not, that’s politeness. There is a different between customer service and politeness so to make customer service is in fact when a team is dedicated to deliver. Mel: Yeah absolutely comes down to the people for sure. I like that there is that pre-empting of what you potential problems could be that there is an overlooked flight but also they have obviously created the systems that can I guess set off the alarm bell to say hey there is a leg of journey that is missing or I wonder if that applies to everyone along the way or whether that’s for their preferred customers. That would be interesting to determine. Phillip: Well it would be I mean I can give you another example actually. A lot of people use reward systems. Now reward systems for rewarding your regular customers step one. Reward system become excessive you know. I come in, I swap my card, there is nothing engaging about that. How about knowing which customer frequent your business in every 2 weeks shove them the coffee. It means you are paying attention to the business. Two, it is unexpected surprise. It is dedication to deliver. It is unexpected reward which holds a lot more warrant and weight than something that’s expected and that because we preaches the habit where we are human. Something that’s expected is not going to be taken with as much as with something un-expected. Mel: Hmm that element of surprise definitely has its worth. Now you mentioned before something your staff being integral part and I think about putting yourself in the shoes of the customer and thinking about all the steps they go through when they are going to buy something in café or elsewhere. So can you talk us through what it is that you believe that staff need to be doing today to develop those relationships? You said those basic manners are important but can you talk about how perhaps you map out the customer journey when they come to you and how you can say when they come to your café because I know you got café now that is part of the business. How do you actually go through that process to be able to explain to staff so that they can make sure that whole process is really streamlined? Phillip: I do love to claim it's mine but it is not but hopefully listeners would love it and it is easy to adopt and it is actually from state London fish and we called it fish philosophy. So we have a thing called fish philosophy which simply follows four steps. One's attitude before going to work. You are going to have hustle and bustle. If you got kids something is going to go wrong in the morning. You might miss the bus. Something might happen. Your pet might have been tried. Things are going to happen to us before we go to work that is going to affect us. The way that we got system in place is to neutralize that and is to tell people your attitude. If your attitude is going to be bad at work don’t come to work today. So something happen to you before you go to work then you won’t be able to choose your attitude. Step two is be present. There is nothing worse when somebody talking to you, engage with you, they see you are not looking in the eye, you are visually present. If someone is communicating with you then you should be engaged with them. So step two is obviously being present. Three is have fun. The environments and people that are having fun work. Having the brakes and doing half hour lunch and get back and give staff the choice you want 10 minutes of break or 30 minutes. What type of work rate for you works better? So we give them the choice so have fun at work. Enjoy what you are doing. Again it is all philosophy and fourth step is to make the customers day. Now that’s the harder part of the four step process. Again in the customer service I say hello and goodbye and smiling. That’s just being polite and polite is not making a customer’s day. The time that something really stands out and this is somehow sadistic but it is what it is and it is when something goes wrong. We love when something goes wrong. Because we when something goes wrong your opportunity to actually make a customer’s day and we had incident yesterday when we had online order that didn’t make it to the customer he had been chasing it for three days. Our team followed the procedures to accept, no one bothered to ring him the next day because every time you rang you received different people to talk each day but they did the system perfectly. They just didn’t bring back the following day to say hey did you receive your order? They are just assuming the delivery driver to deliver it. When you brought it to my attention and through my PA it was a no excuse part, it was simple. That’s not good enough. I will be talking to team to follow and also being engaging with the company. However what this means to you, I don’t expect you to pay for this order and I will sending you one of my best red wine cellar because I know you enjoy red wine. Mel: Yeah so apologizing and making good right. Phillip: It is not even apology. It is you actually saying and not making excuses. What you not doing rather than what you are doing. You are not making excuses. You are not blaming somebody else and you not making them feel significant and that is what we call make the customers day and the easiest way to make customer day is when something goes wrong. It is very hard to make customer day when everything is working beautifully and there is a lot of businesses out there that really don’t work on that last part and it is a hard thing to do because listeners sitting there right now thinking about how can we make somebody day, it is a lot harder that what we think it is. Mel: Yeah it is and as you said too it is about that opportunity of reflection. So is that part of the procedure going forward that even if there is a glitch in the system someway that you feel like it is taking care of it that you actually confirm but it is all taken care of? Phillip: Every time something that arises we use as an opportunity we get it taken care of. This morning less than 18 hours after tha incident happened and I said to my general manager that he needs to work without online manager in the next 3 weeks. I want a hundred people survey that avoided from us and I want three questions asked, what was your experience like with Di Bella? What would you do better to make the experience better and would you recommend us to anybody? Now I am going to have by end of this month a hundred people research that I can look at the responses to that and that would came off the back of what happened yesterday. Now we packed over 200 orders a day online. That’s one incident. People would say I am over reacting. You know what, it is what I am prepared to do that others are not prepared to do that’s going to make me successful. Mel: Yeah 100 percent. Absolutely. now do you mind sharing with us listeners since retail food group I guess has taken ownership of developing and you are still in the managing director role, can you explain to us from what I can see and correct me if I am wrong is that sort of got into predominantly B2B business and you are now branching out internationally to a B2C scenario with café is that correct? Phillip: Well yeah it was always something we doing before the sale but it is an opportunity and B2C opportunity that we are chasing is in the emerging countries. Countries like India, Philippines, manila. Manila got great game busters, India got them too. They are all emerging countries when it comes to café experience so in emerging countries we are looking at B2C model. In countries that already have a strong coffee and café culture we are going with the B2B model. So states is a B2B model with Di Bella in LA supplying café and restaurants whereas manila and India we have gone with the B2C model. Mel: And so is it competitive there? Do you have competitors who are also in that space? Phillip: yeah look there is competitors and it is a very strategic move Mel. What we do very cleverly do is we follow the companies that have enter these markets and doing well and what we hope to do is obviously better the experience and what I mean by that is it is a full out strategy is that starbucks in Asia. That got lot more money than we do and lot more resources in researching market. So if they doing very well in Asia, then di belle can do really well by obviously taking that coffee experience to the next level. India exactly the same. Strong chains over there. Café coffee day is the biggest trend over there. We had to look at their model and it is one of my philosophies in business is really search the people that are doing things wrong not the ones that are doing things right because if research company do things right, we come in poster. What I do is look at companies and say how I can do that better or different? And is there a market for it? So café coffee days is amazing business in India and very successful. however their targeting to people that just want to grab a coffee and go, they are not targeting the specialty coffee market where people want to sit around and have a coffee, enjoy time with their friends so we created that experience that taps into that market and that’s why it is rolling out successfully. Manila is very similar. Very strong Spanish influence, people are getting into coffee but there is no way that people can go and in manila they are real foodies so they are looking for this full of bloggers, social media, instagramers, so they are looking anything that looks wow. So we are producing and matching amazing coffee with amazing food and sweets and desserts and that’s getting us a lot of attraction in manila. So one model fits does not work. There is different cultures around the world for different reasons but the business principle is always the same. If you are not solving a problem, you don’t have a business. Mel: 100 percent. from what I have seen online the actual locations look very boutique. They look very elegant looking café compared to the others. Does stores look same in areas or different from country to country? Phillip: It is different because obviously there is different economies scale. If you want the sites you need to be really in with the agents or you need to have strong brain. Definitely rents are more expensive so your foot prints are a lot smaller. Obviously look at star bucks which is one of the world's best in terms of growth and expansion didn’t work out in Australia because they tried to rollout their model in Australia the same way they did overseas and it didn’t work. You still got to work within your environment and work within cultures you embarking on and that’s something we learned along the way by looking at the companies that failed. I rather learn from someone spend their money rather than my money. Mel: Makes sense. Now let’s go back to Australia. There is 3 key areas that small business owners find and having problems with. They are having trouble with attracting more customers with their business so they need more customers. They are looking to increase profitability and then there is a 3rd one that I asked about just little bit but what would you say is in Australia in our market here for business owners who are looking to attract more customers, what is it that they should be doing? What is your thought? Because I know that you got to handle on our market as well, what would you say is actually cutting through and consistently working? Phillip: Well the model is to solve the problem right but to solve the problem you got to get and anticipate. So the best emerging business of those that they actually anticipate a problem. You look at the iphone, steve jobs delivered that iphone in 80s but the team thought it is too futuristic. You fast forward and think about it now and what it did was it solved the problem and it made it relevant. The model doesn’t change. If you attracting more customers, you need to be solving that problem. You need to anticipate the needs. We found that in our industry that we cannot survive or grow our business if we just sold coffee. So we don’t. I mean we got coffee as our number one selling product but we got similar items like chocolate powders, tea and sugar sticks. We diversifies but stayed within our industry. More importantly we kept with our brand essence and what I mean by that is we are number one of specialty coffee market. So captures we bought out are the best you can buy in coffee. What I mean by that is not flavor because it is subjective, we put highest grade coffee in our captures. Now whether you like it or not it is obviously different because that subjective but from quality point of view this is the highest grade you can buy. I am working on the project now instant coffee. Why 60% of this country still drinks instant coffee? But the instant coffee that I would end up with would be the highest grade instant coffee around the world with no chemicals. If I won't able to do it I won't release the product but further way down the track I would be able to do it and then I would release it so I am diversifying my industry. But I am anticipating people problems and anticipation is that people still going to drink instant coffee because it is easy and convenient and it doesn’t matter that it is not the coffee from machine but there is a need for it because it is convenient. So what I do for it is I look at the problems that are associated and go the current instant coffee on the market, the majority of it is made from off cuts so the lowest grade coffee from around the world. It is the highest caffeine and a lot of is chemical. So look at the problems that are associated and say how can I fix them? So I am not a disruptor. Uber didn’t disrupt the taxi industry, they developed a business that was better. I didn’t disrupt the coffee industry. All my colleagues were selling a product. We don’t sell a product. We own the words it is not just a bag of beans. We supply your café, we provide you networking list, we train your staff, we got a lawyer that look at leaves, we help you with marketing, put you in touch with graphic designers, we put you in touch with electricians, we help you expand and look other sites. Delivering a bag of beans is only 1 thing that we do. So we actually own these words. It is not just a bag of beans. You got to go above and beyond in order to expand your business. You got to anticipate people's needs. You still got to stay true to the core essence of your brand. So you won't find the Di Bella in super markets, you won't find it in take away shops, you will find us in café and restaurants because that is our brand essence. Mel: And so your instant coffee product won't be sold in supermarkets? You would be sending that out yourselves? Phillip: Well if it is going to be sold in supermarket that would neutralize obviously the brand. Emotional engagement with the brand in the café. So you got to be very careful because people get carried away with expansion and this is something to title back to your original question. when people look at I have got an increased revenue. There is 2 things that they do, they start bringing products and have no relevance to their core business. Before they dilute what they good at or two, they destroyed their brand essence and meaning I need to expand, I am going to start supplying supermarkets with my coffee. The moment I start supplying Di Bella in super markets is the day that we would lose all the café that we supply. Mel: The impact you have. So all of your decision making needs to come back to your values or your brand essence in every single thing you do. So doesn’t mean you cannot diversify it just means that you think about what is potentially separate. Okay good stuff. now my last question is around freedom, as a business owners and you been one for a long time now. I know that outsourcing or delegating is a big part of what you do but business owners who are listening, what do you say is the best way for you to be able to be using your time well to make really important decision that is with working with any business, what tips could you give? Phillip: Well the best way that you can get it is by making sure that you have done every job in your business. What makes me very strong now is that I started as a one man band and that experience of being a one man band is invaluable. What I mean by that is I had to do every job in this organization. So what I sit down with any of my 100 plus team now, and I am talking to them, I can relate to them. I can relate, I know what the job should be, I know how it was done. I now understand what they are trying to do to make it better. I understand where they coming from. Again the key word is relate. This whole attitude of hiring people smarter and better than you I don’t get. People smarter and better than you go up in their own business. You need to have people that are good enough to understand their business. So what I said to people if you want one strategy that really works is hire people that are good enough to have their own business, but make sure you are giving them the reason not to go off in their own business because there is 2 things that happen when people hire people, 1 is when I say stupid, 2 is to say I want people better than me and smarter than me. Well if they are better and smarter, what you are doing to keep them? So what we have done well as we grown is one, know your business and have job in it and two is good enough to open their own business. I have developed offshore business and now I have ended up with the whole suite of secondary and third businesses that actually have shareholders of people that currently work with them. Mel: Okay so can I ask you then do you then employ people say without the skills with but with the same sort of values that you do to help you sort of grow skill wise together. Is that how you look at it? Phillip: Well I have been talking about it for 10 years Mel which is strategy that works well in higher attitude and teach skill. So you cannot teach anyone attitude. You can only influence attitude. I can teach anybody that is willing and able to do with right mentality to make a cup of coffee. I can teach him marketing as long as they are willing and able to do mentally. So the key is hire people with the right mindset. I have never seen a resume that says I don’t turn up to work on time, I am moody, I am cranky and you know what when it is public holiday, Tuesday, I probably take the Monday off. No one puts that in their resume. Mel: I know that you actually ask people specific question when they come in and have an interview. Can you share with listeners what that is? Phillip: Yeah I do. I ask them what are your goals and inspirations? Where do you want to be in 12 months, where do you want to be in 3 years? what is it that you want to achieve in life? I say to them very clearly. If you got no direction for yourself and aspiration then how are you going to be working with me in a business that is very aspirational and clear what it needs to be? If someone cannot take control of their own life they wouldn’t be able to take control of the team or take control of the vision and objectives of the organization. I mean the key to that is simply and I talk about that a lot is when I am in the coffee business, lawyers are in the lawyer business, we are all in people business. All we are doing is connecting people to products and services and you know what? It is not that hard, it is people that make it complicated. Mel: Yes absolutely. I do recall you saying for this couple of years ago now but you did used to ask people what was it that you did was significant in the business or what are you working for now and I thought that was really valuable because I think it was really around what changed or what improvements and what productivity did you bring to that business because that is a good reflection of the potential that you have in my business. Phillip: Correct. Well that question does several things. that’s part of the procedure. It is something that I ask my team. What did you do last week that you thought was great significance that made a change to people in your team or to the organization? Same question I asked to your employees as you put it. what is it at the last place of your work that really stands out for you when you made an impact? And it is not the caliber of actually what they are telling me, it is how they go about it and what I mean by that is does that excite them? Do I see them take ownership overall? Do I see they are engaged with it? did I know the impact that they made? Which is very important. I am a big believer of self-reflection. I think in the world people don’t self-reflect enough and that’s in 2 ways one we think we are a lot better than we really are, two is we don’t actually celebrate the wins. So I make sure that my team do 2 things. don’t get your aspirations and capabilities mixed up. Don’t think that you are better than what you are because at the end of the day I am just a person that started a business. I am not a magician. And two, make sure you actually do celebrate your wins because that’s what keeps you fired up to what to come. Mel: Excellent. Now I am going to ask you one quick question around bringing people on that and have the skills. When I think about entrepreneurship and building business, I think that it could be potentially a slow process for people who are listening and thinking while you know I don’t really have time. I am sort to trying to follow up that lean startup methodology to get things out, test the market, make sure that there are people out there that are going to pay for it. what is your response to that? Phillip: If it was easy everybody would be doing it and it is something that I have used and done from day one. But it is easy today and turn out to be harder tomorrow. So the listeners really think about this, think of something that tap into the past when that’s gone wrong. It is often because it was easy to start with. Things are going well now and often difficult to start and you hear the clear shades, jeez it was hard going but it has gone good now. Something that’s hard in the beginning normally becomes harder later and it normally means that got a better foundation. So one is it comes down to mindset. If you are starting a business and it is easy, then why is everybody doing it? or everybody will do it? if it is difficult then there is a good chance that it has got a higher barrier entry which means everyone is going to do it. I use a lot of analogies. If you are building a 10 story building and you rush first few stories, there is a big change it will fall sooner or later. If you got those foundations right and there is some stones ahead then obviously what flows from 10 are obviously going to be stronger for a stronger foundation. It really is about getting things done right and properly and I mean I have learned the lessons along the way. What we didn’t do well is we didn’t do well our backend to meet our frontend. So we are out there getting new clients and growing it. So key objectives now is to assure all the times that we did continuous improvement and done system strategies in place. Mel: One final question for you is around how you manage your day? How many hours a day you are currently working and was it always at this level? Phillip: Yeah time management is important. I have got an ability of being super organized. I used technology well so I used my mobile phone and my note section is all setup nicely. Anytime I got an idea of different business or concepts, it all gets locked down. I have got an executive assistant that obviously is very capable. I have got an executive officer as well that helps me bounce ideas and so time management is one of the most important thing. I actively probably work, when you are in business and at executive level, you are always working I mean driving to work you are thinking about work. going home you are thinking about work and you want business owner to be just doing that. what classifies the way I really answer that is what classifies work and what doesn’t. if you are enjoying something that you love it and inspired, you are working all the time. Obviously physically working probably 50 to 60 hours a week which is not a lot you know. I don’t believe that a lot specially but mentally working, 90 percent of the time that you are awake and that would be the same for anyone. Not just business owners. People that engaged and inspired and loved their jobs, I am sure the listeners would agree, they would be working and thinking about work and always in one 90 percent of the time they are awake. Mel: Now can you share with us as we finish up something that you are working on doesn’t have to be Di Bella coffee, it could be some of the other initiatives that you are connected to, what’s something that’s happening or in the works at the moment that you really excited about that you wouldn’t mind sharing with us? Phillip: Well two things. One is obviously the instant coffee project. I love it when people tell me I cannot do something. People are telling me instant coffee is not possible, ask we speak I got my desk work trial out of Germany to produce the world’s first highest grade instant coffee without chemicals so that’s getting very close. Then on personal level because I love to share personal stuff as well because we are all humans and have an element of personal development is that I always loved to play sport, I had Queensland ranking of tennis as junior. Played in soccer and all the rest of it. but I have never been a runner and I made a decision with my daughter, my 8 girl daughter sitting up the couch the other day that in 20 weeks time we are going to do that breach to Brisbane. I have never run 5 km in my life. I have done it on soccer field and I think that would be a great team bonding thing with my daughter but also forces me to get back and get healthy and fit again. So that’s something we are working on. Mel: Yeah great stuff because you have done it in boxing avenue right? Phillip: Yeah I got 2 corporates. I boxed all my life but I did some charity boxing last year. I might still do that. at the moment I am lucky that my insides are much healthier than my outsides and I got to make sure the outside of me looks just as healthy as my inside. So at 40 I cannot take for granted that I am healthy internally because I might not be healthier at 50 if I do not get rid of some of the excess in the way. So the thing with me is I am happy to talk about some fun you know. people say oh you are so successful, well no I am not because the one area of my life that I haven’t been successful because of building business and making sure that I still have family life is me personally and what suffered is obviously my weight and now is the time to do something about it. the pressure is off in terms of work. I still got as much responsibility or more responsibility because of somebody else money but now I have the time that brand space put that into me getting healthy. So when you look at people don’t always assume because someone has done well in business or drives nice cars that they think that they are the most successful person in the world because I am going to assure you that I am far from that and I need to get my activity there when it comes to getting fit and healthy again. Mel: Yeah right. Look Phil thank you so much for your honesty, your openness, your insight into what our listeners can be doing thanks to your advice and your experience so thanks so much for your time. I am really grateful. I know my listeners would be. Where can people find you if they want to get updates about your new product online and current offering? Phillip: Well thanks Mel. On Dibellacoffee.com or hit me up as friend request. I use my Facebook page for business. So if they want to hit up a friend request they can normally track what I am doing on my Facebook page or so. Mel: Yeah good stuff. I do that. that’s how I know all the ins and outs of what is going on obviously. It is fantastic to see. Thanks Phil. Phillip di Bella founded Di Bella Coffee back in 2002. It began as a small coffee roasting operation in the suburbs of Brisbane in Queensland, Phillip ended up taking a big portion of the market in several ways. One of these was when they were the first to develop a system that was coined the “Crop to Cup” system taking quality coffee direct from farmers all over the world to consumers in Australia, and now internationally. Phillips current role of Managing Director Remains at Di Bella Coffee despite selling to Retail Food Group in 2014. He still sets the vision of the company and provide the support and mentoring to the senior management team. Phil is an active collaborator and contributor to the community. He has been on the Queensland Premier’s Advisory Board for 3 years, he has remained as the Director of Brisbane Marketing for 6 years he is the Director of Tourism & Events Queensland. Phillip is also on the Department of Marketing Industry Advisory Board at Griffith University where he was awarded as an Adjunct Professor of Entrepreneurship for his significant and ongoing work, insight and contributions.